I have just completed my first FULL Career Development Goals Notebook. 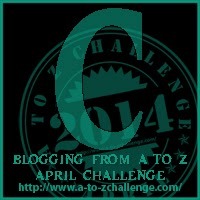 I bought this notebook last year from fellow A to Z challenge participant Cori and have just ordered my second. Over the last year this notebook help me to plan and action 12 goals to help progress my career development which ended with a job offer to start a fantastic new role with a new company this month. The new notebook I have on order will help me to look forward to new achievements in my new role. The Career Development Goals Notebook is a slimline pocket notebook, with room for 13 Goals each of which you are prompted to break down into bite size “Next Steps”. For example my goal might be Goal: Attend [Course] and the next steps would be – (1) research possible courses (2) enroll on course/pay (3) pick classes (4) read prep information (5) coursework (6) attend course [dates] (7) homework (8) revision (9) exam (10) get results (11) certificate (12) inform employer / add to CV. This particular goal was spread over a six month period (and ran alongside other goals). All 13 Goals would start and progress at different speeds over the course of the year (and not all the next steps would be pre-determined I could add these as and when I needed to). The Progress Tracker and Reviews contained in the second half of the notebook were an essential part of this notebook. I coloured coded my progress tracker with the reviews. For example my first review was completed in light blue (this can be seen in the right hand corner of the top image) and on the Progress Tracker the light blue shaded boxes where the next steps I had completed at the time of the review. G2 had been completed (and the last next steps were not needed (symbolised by the ‘X’)). 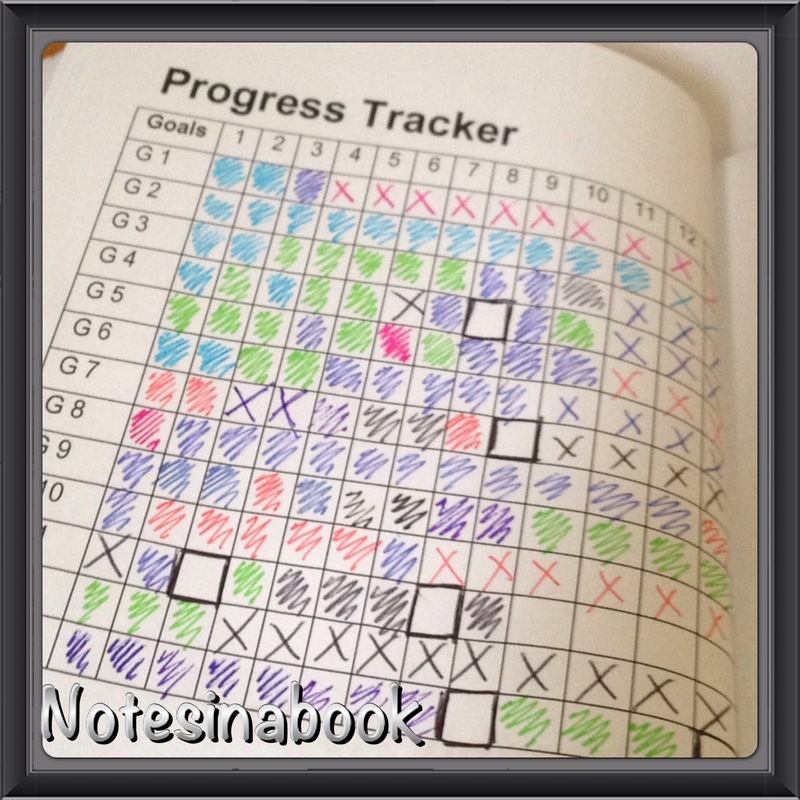 The Progress Tracker and Reviews were a fantastic way to keep on track with the goals, revitalise after a quiet period and work out what you had to do next or improve on (if falling behind) or give you a sense of achievement (if progressing well). Do you have any notebooks dedicated to career or even to your goals? Share yours in the comments. 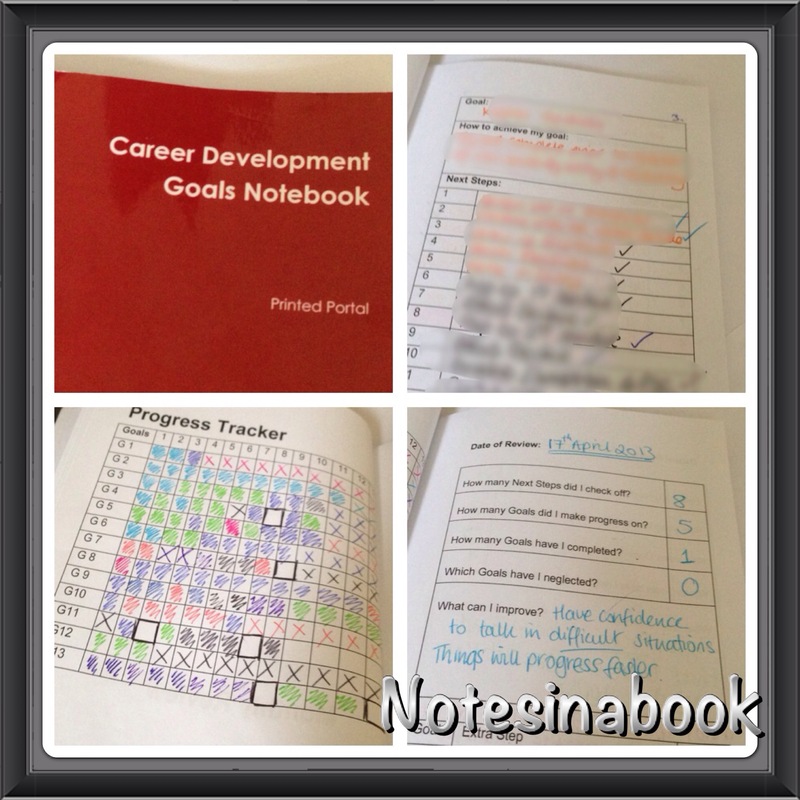 Career development notebook… never heard of this before. Yes, the concept you could use for any goals – they also do a goals notebook. Don’t know if you can get them in South Africa though. Way to follow through with the entire notebook! That’s a commitment unto itself. And Congratulations on the new job! Happy AtoZ! This is an amazing idea! Thanks for sharing it. I’m going to work on my goal book as soon as my month of posts are done. A goal book is well worth the effort. Even if you have bad months and good months – it keeps you on track. Congratulations on the new job! My career is winding down now, so too late for the Career Development Notebook. I keep a Scripture Journal to record my thoughts during scripture reading; a quotes and inspirations notebook, a journal (daily record of the events of the day. But that is about it. Thank you. A Scripture Journal sounds like a lovely idea, I had one when I was at school, but the habit didn’t stay with me.